Appealingly Quirky: How Much Is ‘Too Much’? Move over, Pop Princesses: it’s time to make room for the Queens of Quirk. 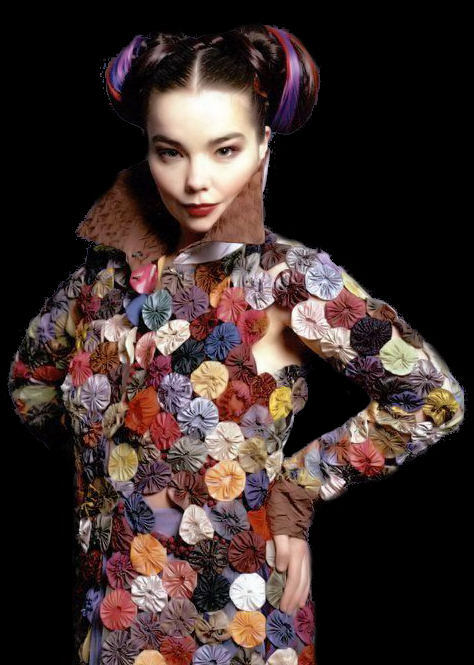 America has always been fascinated by its share of quirky leading ladies and heroines (think Lucille Ball, Audrey Hepburn, and Amelie), but in the past few years, eccentricity has become all the rage. Hilary Duff may be a mere tabloid figure these days, but every entertainment magazine I pick up seems to flaunt Zooey Deschanel as the new It Girl. Ladies, say hello to babydoll dresses, funky headbands and Bambi eyes. As someone who enjoys wearing dresses, listening to The Smiths and deconstructing seemingly trashy television, I should appreciate this trend. After all, doesn’t it make room for people like me, people who sometimes stray from the beaten path and occasionally align themselves with some of the misfits? The answer to that question isn’t as simple as it may seem. On the surface, the quirkiness craze allows us to broaden our acceptance of what’s “cool.” (Tweet this!) Young women are, in theory, valued for deviating slightly from the norm, creating their own fashion statements, and listening to music that is either (a) from a different generation; (b) not played on the radio; or (c) both of the above. Supporters of the Quirky Girl frenzy might even argue that this trend encourages us to be unique and unafraid to show our non-cookie-cutter side. Of course, when we examine this further, we find that there are a few things wrong with our arguments. First of all, “quirky” ceases to be truly quirky when it becomes a trend. If every girl dresses like a 1950’s housewife and gets the same haircut, she is no longer “deviating from the norm,” as suggested earlier. Quirks are defined as individual peculiarities of character, and so, by definition, cannot be included as part of a trend — they belong to the individual! However, the “Quirky Girl” trope tends to follow a few pre-defined quirks, which are not necessarily natural to the girl who displays them. And let’s face it — most guys who say they’re attracted to “quirky girls” are not actually attracted to them in the Dictionary.com sense of the word. They’re attracted to quirky girls in the same way that many girls are attracted to nerdy guys (a.k.a. good-looking guys who happen to wear glasses and admit to occasionally reading for fun). Guys who claim they’re into the quirky girls are mostly just looking for pretty girls who use Instagram too much, own a vintage bathing suit and occasionally trip over things. The truly quirky girls who don’t fit the (ironic) stereotype aren’t in as high of demand as the Zooey Deschanels of the world. I’m not trying to say that one lifestyle is better than another — I think that as long as you’re not hurting anyone, you should do whatever makes you comfortable! (I will admit that I was listening to a mix of Regina Spektor and Perry Como as I wrote this, thus fulfilling the pseudo-quirky role I wrote about earlier.) However, I urge you to choose your clothes, music and interests because you like them, not because of the pressure to like them. If some of your likes aren’t particularly offbeat, it’s not the end of the world. I totally agree with you! It’s the same with the whole hipster movement – we are different and original – together. I admit that I too fit into the quirky girl group a bit (other people also call me a hipster) but I follow the same philosophy that you do: I do/wear what I love and sometimes that is in style and sometimes it is not. Oops, forgot to sign in! That last comment was mine haha (school computer). I had an invisible friend as a child – I think I was born quirky haha. You are awesome! My invisible friends were all characters from the Baby Sitter’s Little Sister series back in first grade. I loved that series! Mine was a frog loosely based off of Kermit haha. That’s perfect! Hahaha too funny! I agree that the quirky girl phenomenon is akin to the Seth Cohen-type / “cute nerd” craze… guys are attracted to pretty girls who aren’t afraid to be feminine and mildly intelligent in the same way that girls are attracted to smart guys who listen to Death Cab. 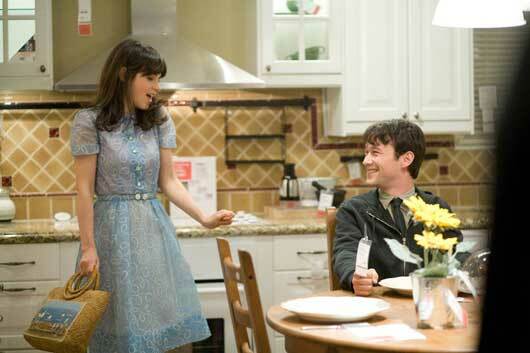 However, I think Zooey Deschanel became the new It girl for a real reason. And it wasn’t just her quirks. It was her confidence. Unlike a lot of us girls (quirky or otherwise), ZD embraces her uniqueness. More important than the particular idiosyncrasies, I think the attraction is in how comfortable she is just being her. And confidence is timeless. I think she’s definitely branded her uniqueness, that’s for sure (and I don’t mean that in a bad way). I agree to an extent that she emulates a degree of confidence, and I appreciate her HelloGiggles blog and the message it puts out there. I’m not anti-ZD either– I really liked her in a lot of movies as the snarky, slightly offbeat character, and maybe I’m just a little over her now that I see her everywhere in pop culture. But I definitely agree with some of your points there!